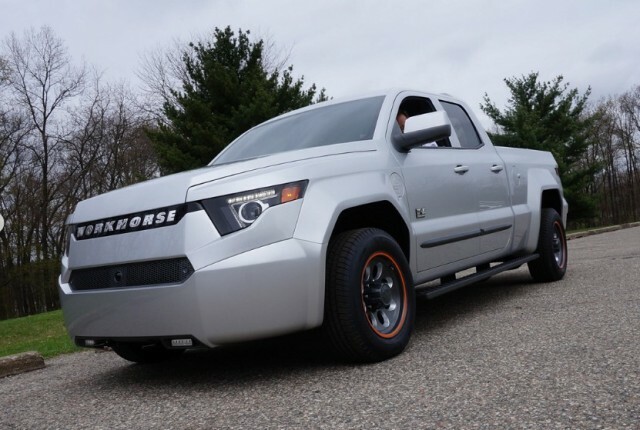 After $300 million in claimed fleet preorders for its plug-in hybrid pickup truck, Workhorse will open its order books for everyone to claim a spot in the production schedule. The Workhorse W-15 will be the first publicly available vehicle from a company that began its electrification journey more than 10 years ago. It features 80 miles of all-electric range from a battery pack using Panasonic 18650 commodity cells to power a pair of electric motors at the front and rear of the truck. Since it was revealed, the Workhorse W-15 has been a bit of a media darling and company's CEO Steve Burns says healthy interest in public orders has resulted. 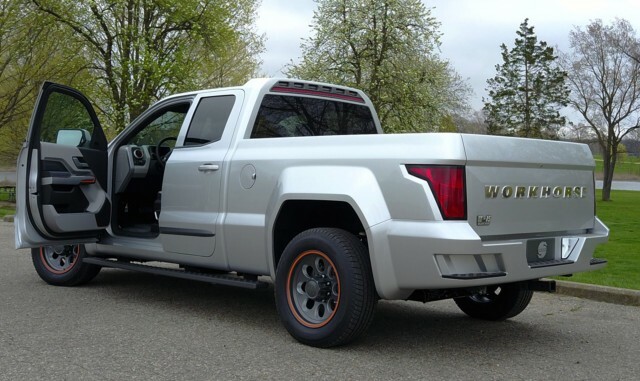 When Burns spoke to AutoBlog in October, he said, "Demand [for the pickup] is so strong" from the public that he expected Workhorse would open public preorders in the near future. Now, in a newsletter sent to prospective customers obtained by AutoBlog, Workhorse confirmed it will take a refundable $1,000 deposit in exchange for a place in line for your very own plug-in hybrid pickup. Thanks to you and the tireless efforts of the Workhorse R&D team I am thrilled to announce that we have opened W-15 reservations for everyone! The cost to pre-order a Workhorse W-15 is $1000 per truck, which is fully refundable. The purchase price of the vehicle is estimated at $52,500 and we expect the W-15 to be eligible under current legislation for a $7,500 tax credit for US citizens. Workhorse expects to begin deliveries of its pickup to fleet customers in late 2018, but it said it will keep everyone updated regarding retail orders as 2019 approaches. The W-15 is projected to achieve 28 mpg highway and 32 mpg city when the range extender is used, or 75 MPGe when fully charged. As well as safety and convenience features expected in any modern vehicle, the W-15 will allow users to plug into the vehicle's battery energy via a 7.2-kilowatt connection "that allows tools to be plugged directly into the battery power source without the truck running," Workhorse says.